Julian, formerly known as The Night Ninja moves to Phoenix to take over the afternoons/early evenings at Clear Channel’s Top 40 station 104.7 Kiss FM (KZZI). Julian will host the 4:00 pm to 9:00 pm program. 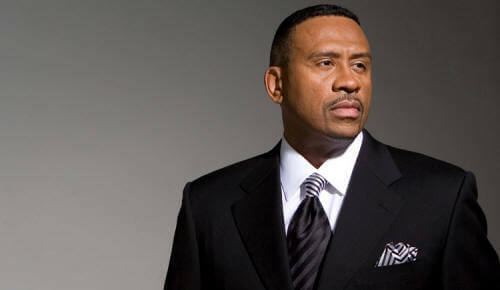 Julian most recently hosted mornings at CBS Radio’s Top 40 B96 (WBBM-FM) with co-host J Niice. Julian Nieh came to Chicago in the summer of 2006, taking over the evening shift on B96. 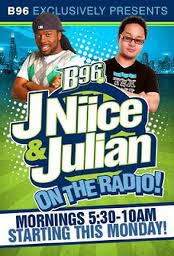 In January 2009, Julian was paired up with the station's midday personality Jamar "J Niice" McNeil and they became the new B96 morning show hosts by replacing Chicago radio legends Eddie & Jobo. After a few months the show became one of the top rated morning shows in Chicago. Prior to coming to Chicago, Julian Nieh was the night host at Hot 99.5 (WIHT) in his native Washington, D.C., where J Niice was a host as well, although they did not work together as a team. J Niice continues to host the morning "J-Show" with co-host Showbiz Shelly at B-96.